Accommodation Perth - Perth Australia Accommodation. Special Rates Apply..
Perth has a large range of accommodation including hotels, suites, motor inns, serviced apartments and backpacker accommodations. All the international chains are represented, including Sheraton, Hilton, Hyatt, Novotel, Ibis and Holiday Inn. Local accommodation chains Rydges, Metro Hospitality Group and All Seasons have a presence. 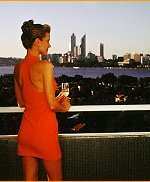 Perth, in fact, has the highest number of first class hotel accommodation rooms, on a pro-rata basis, of any city in Australia. The Metro Hotel Perth is a high-rise hotel, offering accommodation with panoramic views over the Swan River, and city sky-line. The property is just a few minutes from the CBD, and offers a licensed restaurant, and bar, extensive conference, and functions facilities, and an on-site pool. Directly opposite is Rosie O'Grady's Irish Pub. The Metro Hotel Perth is one of the most popular midrange accommodation in the city, amongst country visitors from throughout Western Australia. Many of the rooms have balconies overlooking the river, and some have kitchenette facilities. Whether exploring the city, having a flutter at nearby Burswood Casino, or taking a stroll along the river, the Metro Hotel Perth is the ideal location for you.